Spark has been churning out the occasional old-school NASCAR stock car racer over the years and have done several Daytona 500 winners. 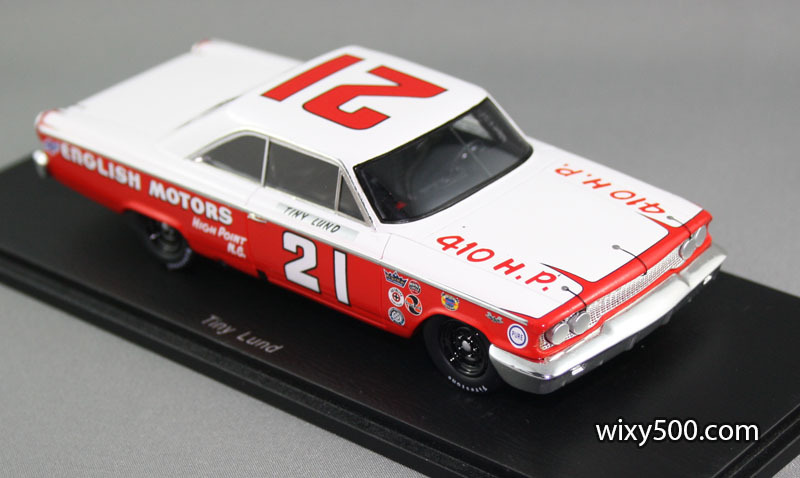 I acquired the 1960 (Junior Johnson, Chev Impala) and 1968 (Cale Yarborough, Mercury Cyclone) winners a couple of years back. 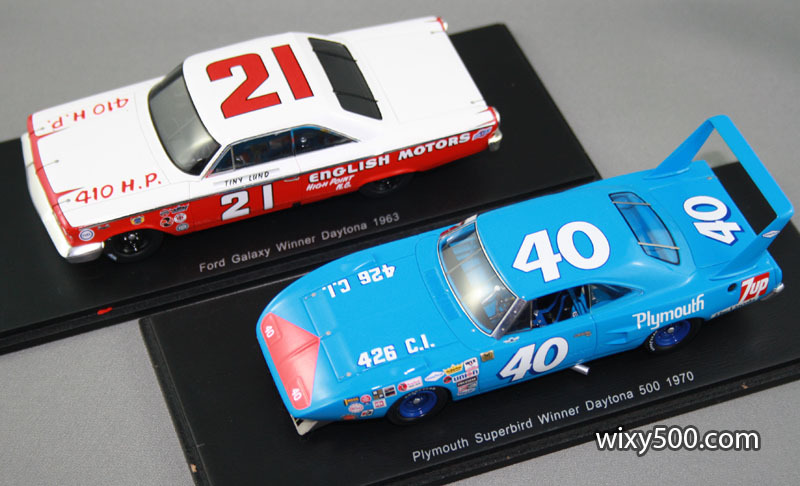 Tiny Lund’s Ford Galaxy (the ’63 victor) arrived late last year and the spectacular looking #40 high-winged 1970 winner earlier this year. 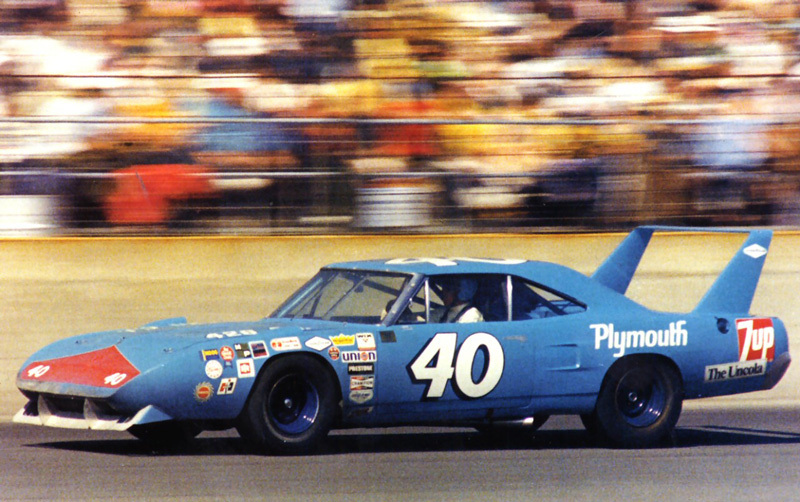 The Plymouth Superbird was developed specifically for racing from Plymouth’s ‘Road Runner’ model. 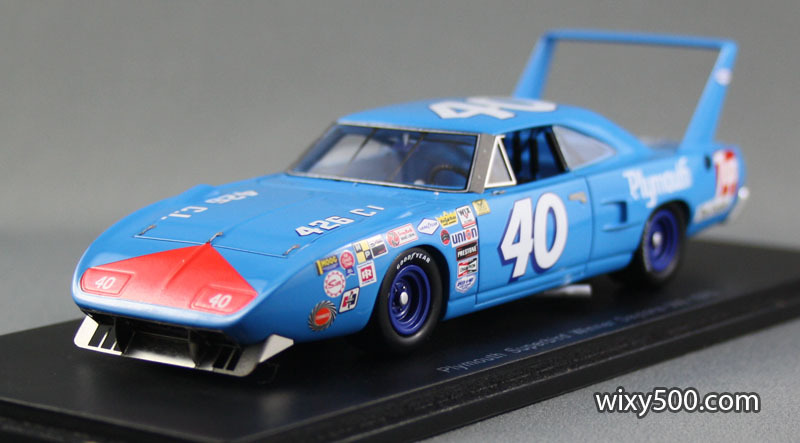 It was the factory’s follow up design to the 1969 Dodge Charger Daytona. Pete Hamilton was in NASCAR’s top tier ‘Grand National’ division just a short time. 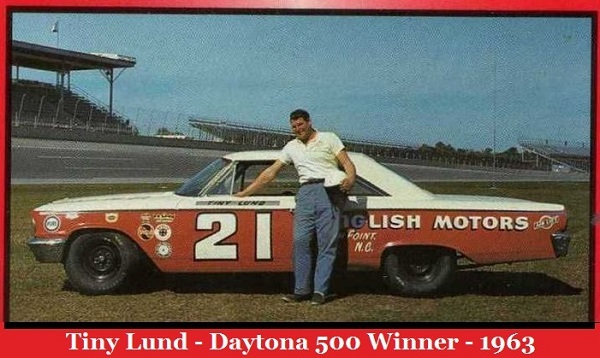 He won 4 races, including the series’ most famous event, the Daytona 500, in 1970. 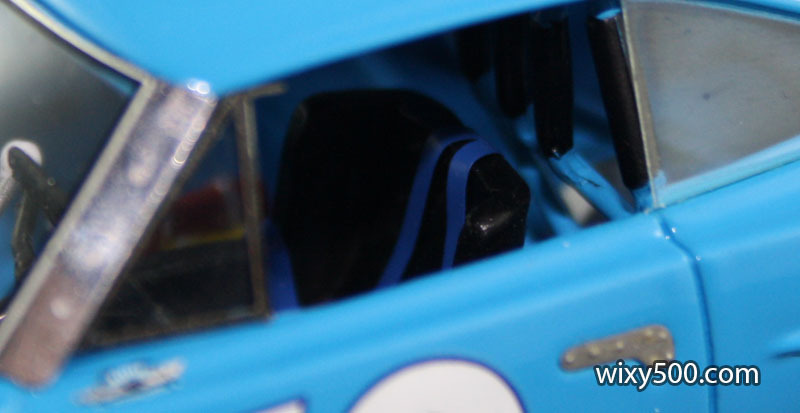 This was while driving for Petty Enterprises, and this was his best year in NASCAR. 1971 was not so good for either car or driver. 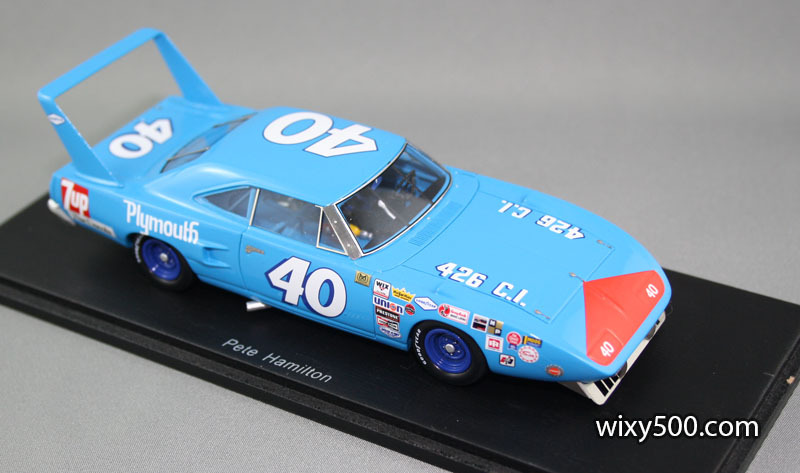 Hamilton retired from driving due to consequence of injuries in a crash a few years earlier, and the Superbird was rendered uncompetitive when NASCAR changed the rules. Like the other ‘500 winners, this huge 2-door American coupe requires a larger than standard display case and plinth. Paint finish is consistently good from Spark and this model is no exception. The only down side is the wheel colour, which – to me – looks a bit ‘plastic’. Oh, and the price. Maybe I’m too much of a tight-arse whinger, but in the just over 3 years since I purchased the 1960 winner, these Spark stock cars have gone up over 52%… Not cool. 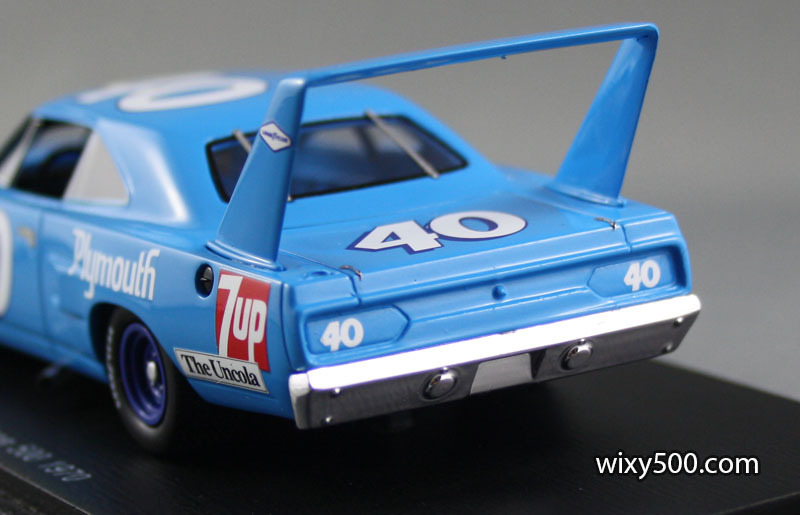 When first inspecting the model, I noticed the drop shadow on the “426 C.I.” bonnet signage was inconsistent (in those days, the engine capacity was written on the car by regulation). The shadow on the ‘6’ is wrong way around! “Someone at Spark has screwed up!” I thought. 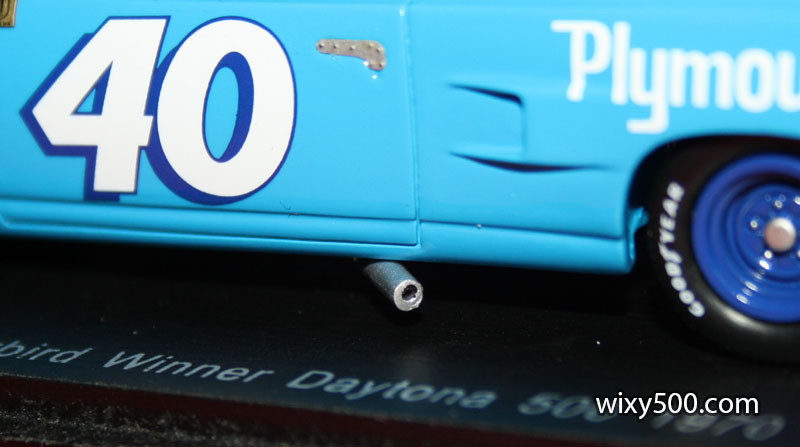 But, no – this is how the real car was sign written at Daytona. This car has been modeled by many other manufacturers and I hazard a guess most of them have got this wrong, so well done Spark. 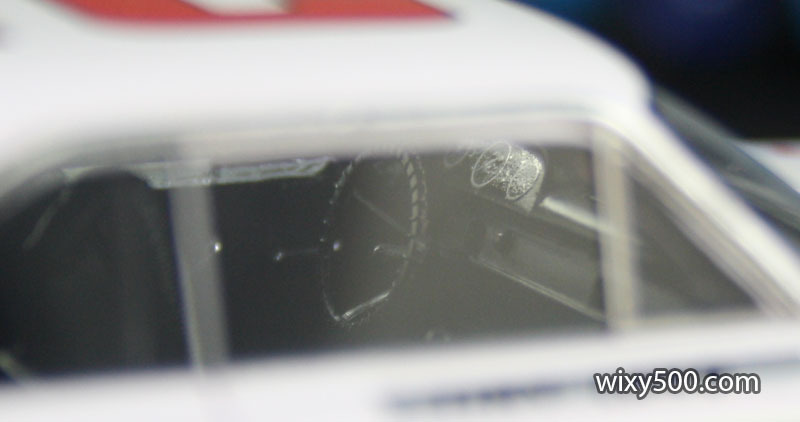 Hard to get a pic of the interior detail, but those seat belts are their own pieces, not a decal. 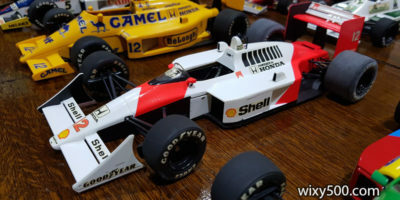 The side-exit exhausts are wrong angle and not quite correct position. One of them was partially blocked, so I drilled the opening wider to fix that. The front air-dam/spoiler is a beautifully cut and folded etched piece, but it doesn’t have any backing behind the intake openings. The chrome-finish A-pillars appear a little clumsy at some angles. 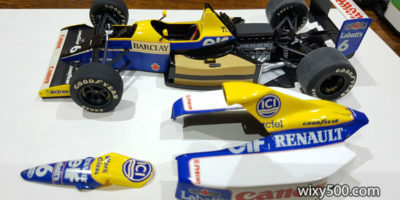 I haven’t researched the size of the real car to compare this scale version, but I reckon the overall “look” seems in proportion to photographs of the time. Peeking inside reveals impressive interior detail, including the side intrusion bar grid inside the doors. Also, little things like bonnet and boot (sorry, trunk!) pins, riveted door handle covers and windscreen straps really set this model off. I ended up cutting into this exhaust pipe with a small drill to open up the outlet, but didn’t bother changing the angle of exit. That’s a HUGE rear wing! The wing fit into the main body is not great, but the safety latches and rear window straps are pretty cool. 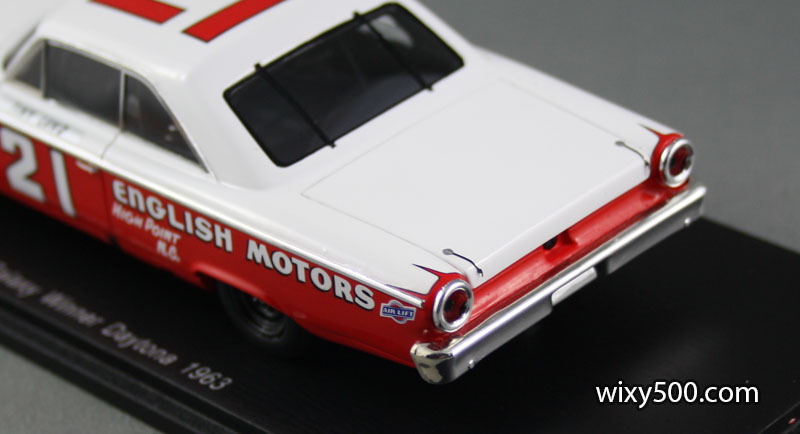 The famous Wood Brothers’ 1963 Ford Galaxy of Tiny Lund. Tiny’s name is written on silver-grey tape that covers the name of the car’s original driver, Marvin Panch. Panch had been injured testing a sports car.